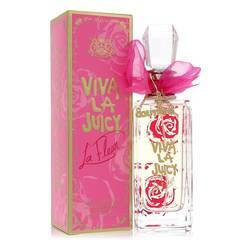 Hey everyone, it's Sarah, and today I'll be reviewing Viva La Juicy Noir. This is such a delicious and sensual fragrance for women. I love how mysterious and enticing it is. It has the essence of the original scent, but with a deeper sensuality. 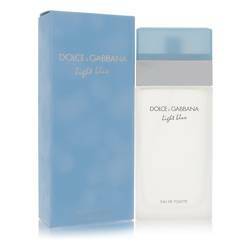 Some of the notes include honeysuckle, sandalwood, succulent berries, caramel, sensual vanilla, jasmine, and amber. I would recommend this to women who embrace their sensual power. All right everyone, that's all for today. Remember, if you want to see more reviews on your favorite products, subscribe to our YouTube channel and be sure to check us out on Instagram, Facebook, and Twitter. 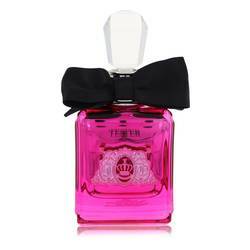 Viva La Juicy Noir Perfume by Juicy Couture, Spice up the night with a little passion and romance when you wear Viva La Juicy Noir, a seductive women’s perfume. This intoxicating morsel offers fruity, floral and gourmand accords for a tantalizing result that will draw attention your way in a matter of seconds. 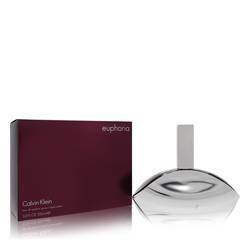 Top notes of freshly-picked wild berries and citrus mandarin orange starts off the scent with a delicious cornucopia of flavor. Middle notes of honeysuckle, jasmine and gardenia Read More Read More infiltrate the essence with their own powerful bouquet, creating a chic and refined atmosphere. Finally, base notes of sandalwood, caramel, vanilla and amber balance out the fragrance for a harmonious composition that’s exceedingly tempting and downright sinful. 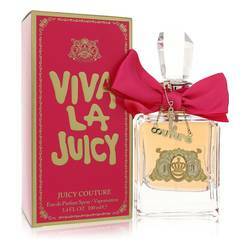 This limited edition fragrance was introduced to the world in the summer of 2013, launched by the successful American fashion brand Juicy Couture. It comes encased in a neon pink bottle with a silky black bow ribbon dressing up the exterior, making for a lovely and flirty appearance on your shelf. All products are original, authentic name brands. We do not sell knockoffs or imitations.